Carmel Hughes PhD is a pharmacist by training and Professor in Primary Care Pharmacy at the School of Pharmacy. Her research interests focus the quality of drug use in older people particularly in long-term care setting and pharmacoepidemiology. She has published extensively on these topics and has led programmes of research in intervention studies in nursing homes for older people. Prof. Hughes was the first pharmacist to have been awarded a Harkness Fellowship in Health Care Policy by the Commonwealth Fund of New York City.She spent her fellowship year at the Center for Gerontology and Health Care Research, Brown University where she collaborated with Profs. Kate Lapane and Vince Mor on pharmacoepidemiological studies in nursing homes.She was awarded the British Pharmaceutical Conference Medal for her research in September 2001.She is the only pharmacist to have been awarded a National Primary Care Career Scientist Award from the Research and Development Division of the Department of Health in London.She has been a Cochrane Fellow, a member of the Cochrane Collaboration and is also the Joint Clinical Lead for the Northern Ireland Clinical Research Network. 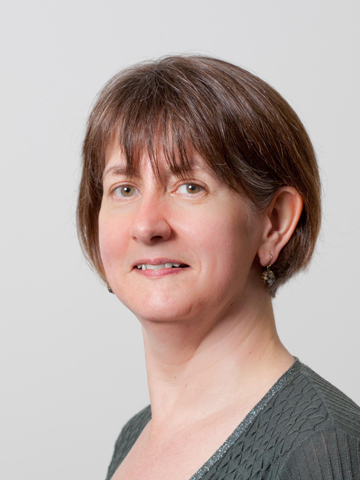 Prof. Hughes's research interests lie in care of older people and pharmacoepidemiology. She has undertaken a range of studies in primary and long-term care, ranging from observational epidemiology to cluster randomised controlled trials, and qualitative exploratory studies. Emphasis has been on elucidating factors which may influence prescribing in settings, notably long-term care, such as structural characteristics, pharmacist interventions and more recently, treatment culture. She has also undertaken studies on MRSA prevalance in nursing homes, an infection control education intervention study in nursing home and led the N. Ireland contribution to the European Surveillance on Antimicrobial Consumption Point Prevalence studies in nursing homes, part of a 22 EU country project. She has contributed to a number of Cochrane systematic reviews. She is also developing a programme in pharmacoepidemiology in conjunction with colleagues from the Centre for Public Health and the Centre for Health Improvement. The initial focus has been on cancer and medication use in older people. Prof. Hughes's research has been funded from a range of sources including goverment, charities and the EU. Open to PhD applications in the field of primary care, prescribing, older people, and medicines optimisation. Most projects which students undertake are mixed methods in nature i.e. using both qualitative and quantitative approaches. Harkness Fellowship in Health Care Policy sponsored by the Commonwealth Fund, New York. Title of project: An evaluation of prescribing and related clinical outcomes in US nursing homes: the basis of a model of care in the United Kingdom.